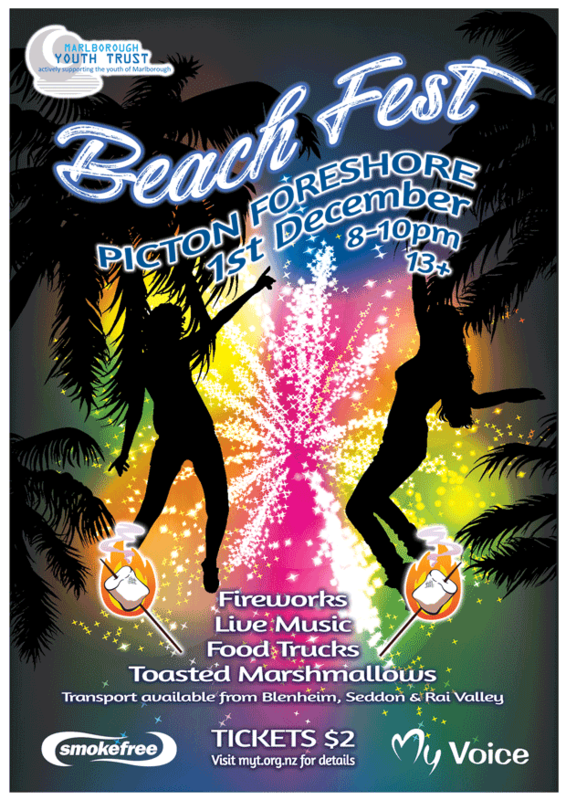 MYT's next Youth Event.....Beach Fest on the Picton Foreshore! What has been your Favourite part of CACTUS so far? I love the activities that get you thinking. Also enjoyed running with your hands on the grass as it was a mental challenge - the grass was so cold on your hands! What have you found most challenging about CACTUS? Sprinting up the hills, that was hard! What would you say to others who were thinking of signing up to CACTUS? I would highly recommend it, its gets you out doing stuff in the community; you feel more confident and get to meet new people. What have you found most challenging about CACTUS? Skills have been hard, especially the bear crawls! And am always nervous that I am going to be late. Supersports is a fundraising event run by MYT, starting Friday night and finishing Sunday afternoon, for youth and adult teams to compete in, with the support of businesses and other community/sports organisations. 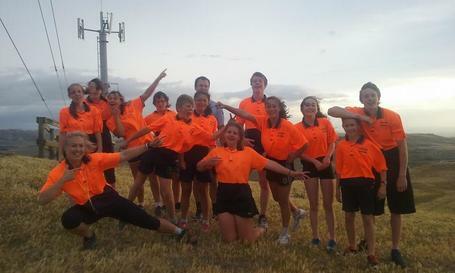 Teams of two compete against each other in a range of different sports around Marlborough, ending up at a central meeting point, then celebrating together with dinner and prize giving. It is called Supersports for a reason…..there is a very wide range of sporting activities involved. The point of it is to fundraise for a youth group/purpose in Marlborough, the other great outcome is that the more mature competitors end up teaching younger competitors how to compete, i.e. compete hard but with a smile on their face and in good spirit. 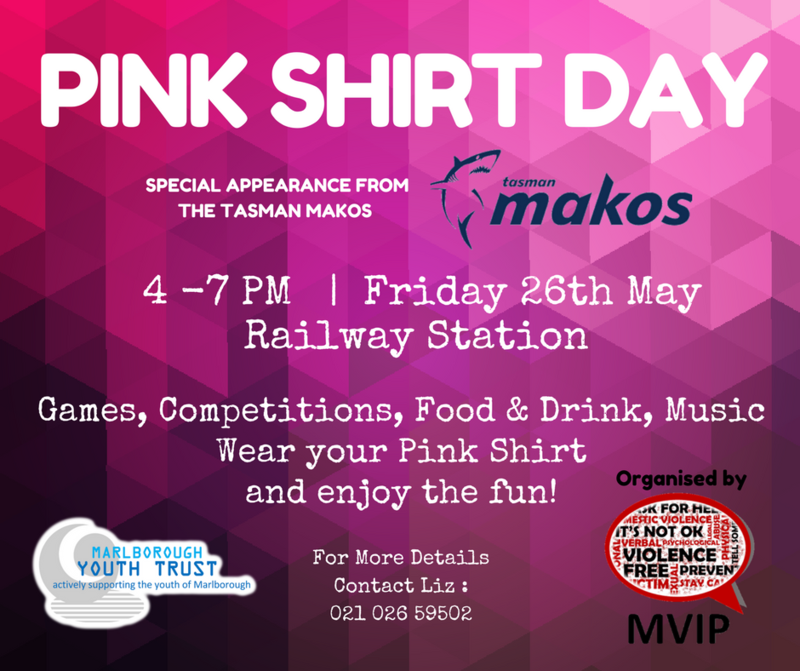 Ph: 027 522 2243 or Email: youthworker@myt.org.nz. 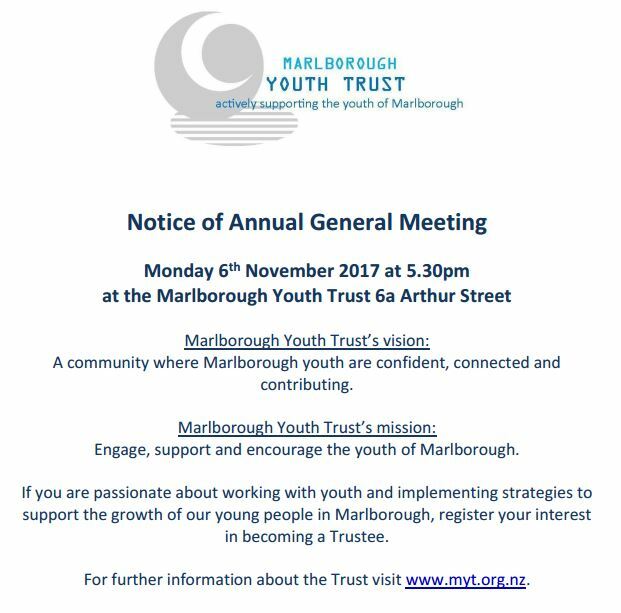 Marlborough Youth Trust is looking for 12 – 24 year olds who like to communicate and engage, have passion and are willing to lead and learn! The Youth Advisory Group will be more involved in our local community, decision making and be the youth voice in everything that we do from events, to looking into the future of the Youth Development Centre. Through being involved in the Youth Advisory Group you will also have the opportunity for development through different courses and training. No experience is needed, we are looking for an enthusiastic, diverse group of people who are driven, passionate and seek to create a positive change in Marlborough while having a whole lot of fun as a team! 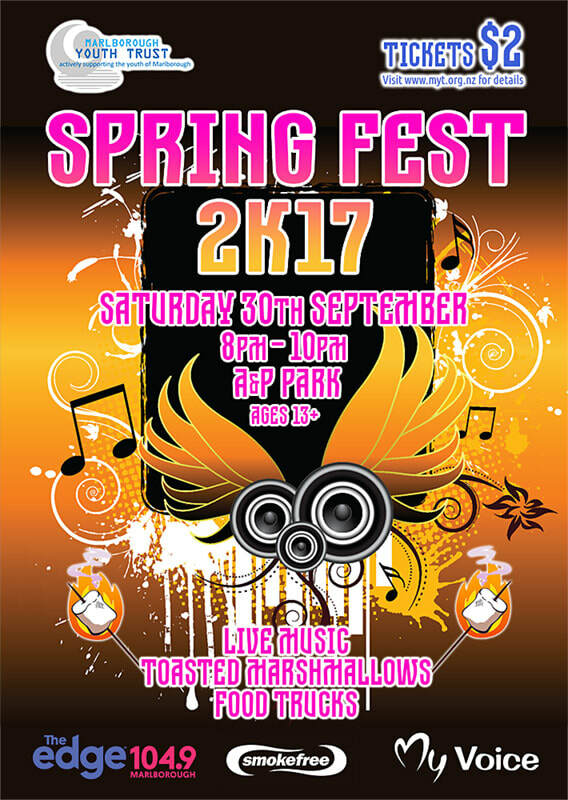 An Outdoor Movie especially for the People of the Awatere, Seddon, Ward area. Only votes from these areas will be counted. YOUTH IN EMERGENCY SERVICES IS RETURNING!! 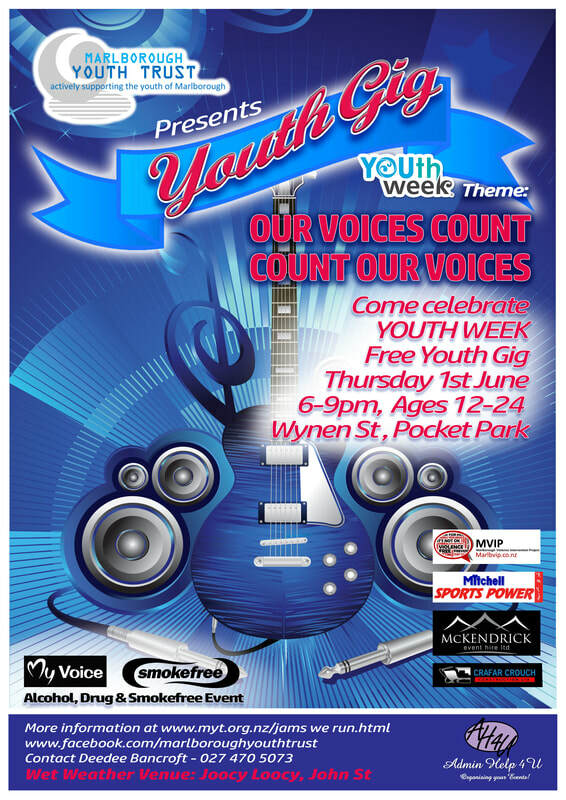 Applicants must be aged 16-18 years, and it is free to all particpants - don't miss out, get involved!! We're working on bringing you something soon! Please register here to book a seat on the Bus. Complete the Travel Permission fields for all unaccompanied youth 12-17yrs. Seddon/Ward People booking seats on the bus - see below. 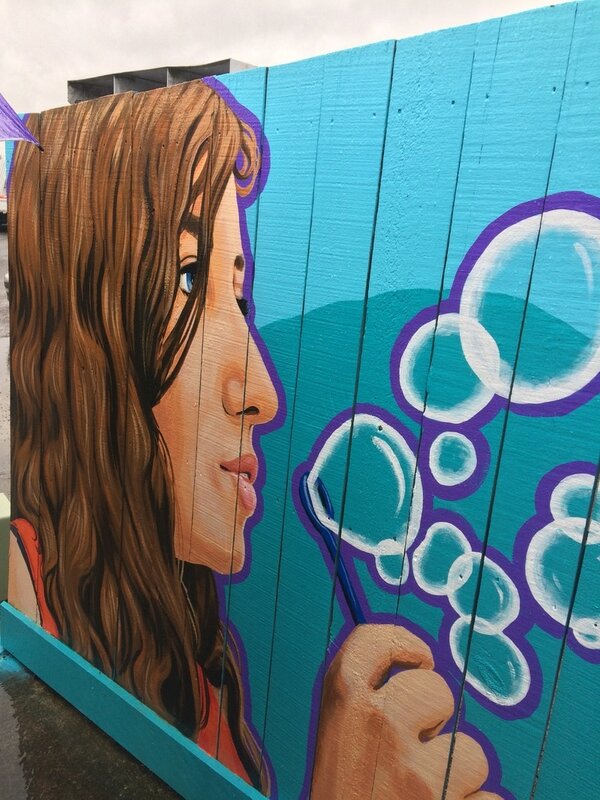 The research showed an overwhelming need for a place in central Blenheim where young people could undertake a variety of activities, socialize and ‘be themselves’ in a drug and alcohol free environment. 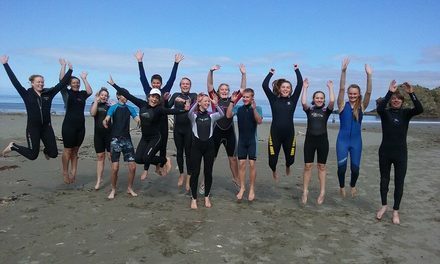 ​The Combined Adolescent Challenge Training Unit and Support programme has been run in New Zealand since it was first developed in 1998 by a policeman in Hokitika. It is a programme designed to challenge youth to use both body and mind through disciplined physical training. A typical course runs for a school term, with three one-hour training sessions per week, starting at 6.00am. A qualified instructor runs each programme with help from volunteer police staff. The participants then have breakfast together before heading away to prepare for their school day. Each course finishes on a day known as 'The Longest Day.' This involves several hours of physically demanding team-work, testing the fitness and endurance of those on the course. The participants then shower and change and attend a graduation ceremony attended by the Mayor, the police Area Commander, other dignitaries, CACTUS staff and families. In small communities like Picton, Seddon and Havelock CACTUS is credited with having a major impact in reducing youth crime. Participants in the CACTUS programmes in Marlborough generally apply for the programme themselves and are motivated by a variety of different things, from a desire to be fit to the hope that the course will improve self-confidence. CACTUS is not a boot-camp and is not designed for 'bad' kids. The majority of participants are good, ordinary teenagers who are looking for some self-improvement. There is no doubt that after completing a CACTUS course youths have generally become physically fitter team-players with improved respect for themselves and others. Their self-confidence improves, commonly with corresponding realisations that they are capable of more than they had previously thought. They also develop the ability to set goals and complete them. One of the aims of CACTUS is that the participants will graduate from their course with the physical and mental tools they need to make positive lifestyle choices, ultimately enabling them to be productive members of their community. 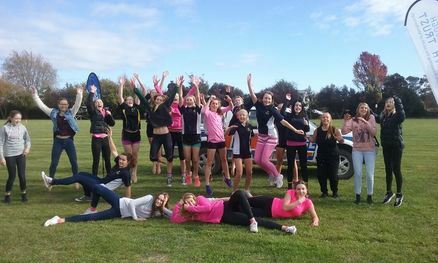 The police in Marlborough have good representation on groups and committees that provide services and opportunities for youth, but there has been a gap in the relationship between police and senior students over the years. Sometimes the only interaction senior college students have is when they see police turning up to deal with a problem youth party or other event where police are the enforcers. This can create a negative impression on both sides. It was decided that some positive interaction between police and senior students was needed. After a series of meetings in 2009 with the Youth Council and other interested groups and people, Blenheim police members involved with the Marlborough Blue Light Ventures (MBLV) committee and the Marlborough Youth Trust (MYT) got their heads together. With consensus from student representatives these two organisations arranged for the fabrication of equipment similar to the police Physical Competency Training (PCT) course. 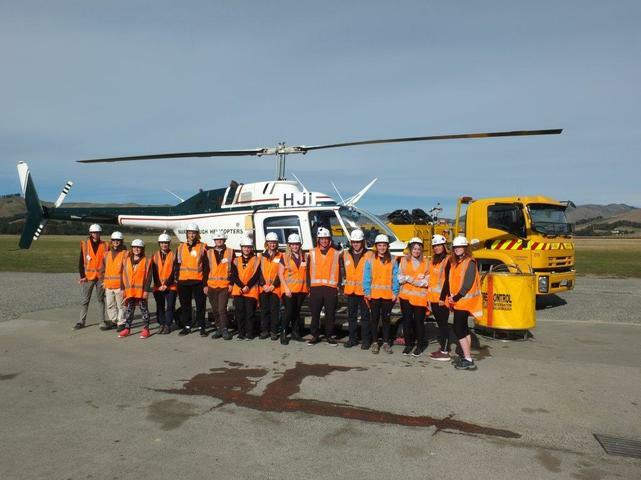 The funds were initially provided by MBLV but successful funding applications to the Marlborough District Councils Youth Initiatives Fund and the Havelock Mussel Festival committee also assisted with paying for the equipment. The equipment was finished in time to be used during Youth Week and advanced planning with the three colleges allowed the Blenheim Community Constable, Youth Aid members, Iwi Liaison Officer and the MYT Community Youth Worker to run a lunch-time inter-house competition in each of the colleges between the 26th and 28th of May 2009. The winning house team in each college headed to Queen Charlotte College on the 29th of May for an inter-college competition. A winner's cup and voucher for sports goods was donated by MYT to the winning team from Marlborough Boys College and this was presented by the Mayor, Alistair Sowman. The competition was enthusiastically received by the students and college staff who have been invited to come up with other uses for it within their sporting and physical fitness regimes. The equipment is used several times a year for college competitions and has done the rounds of intermediate and primary school students in Marlborough, from Ward to Rai Valley and most schools in-between. The positive interaction between youth and the Police and the enthusiasm with which the equipment and activity has been received by students, teachers and the school community more than justifies the work done to build the equipment and get it into the schools.